Lucas has finally started taking his first few steps so I excitedly took him to get his feet measured for his first pair of real shoes. We went to Paces and Laces in Leyland, a local independent shop with many different brands including Bobux, Hush Puppies, Toms and Crocs. The shop has children’s books and trains built against one of the walls to sit in. There is also a fish tank integrated into the counter below the till. Lucas loved that and tried going behind the counter to have a further nosy. They also have a loyalty scheme where I get a point for every pound spent, at 200 points I will get £15 off. 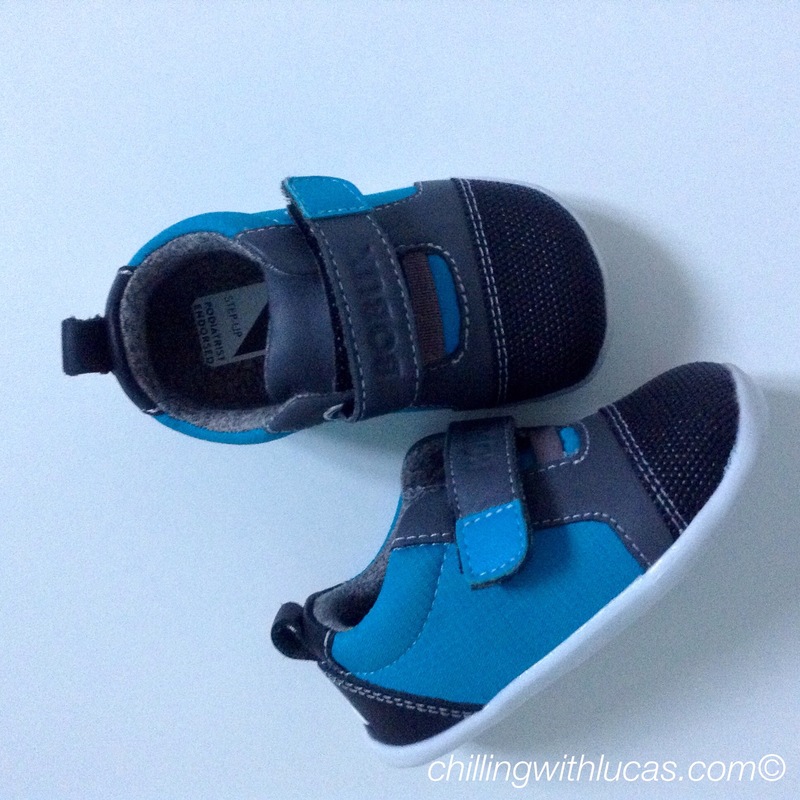 Lucas got measured, he is size 3.5, we were given a selection of shoes that were suitable for him to look at. I chose a pair of Bobux shoes, £34.90 as I love the bright blue against the grey. The toes also have a bobbly black coating, perfect from protecting against any scuffing as Lucas is still switching in between crawling, walking on his knees and walking properly. Cute shoes. I love shopping for baby shoes. Very cute! I wish adult she shops had fish tanks too! love* My V key hates me lol. Oh my goodness those shoes are so cute. I have loved seeing my nephews going from their first uncertain, wobbly steps to getting the hang of walking. Love baby/kids clothes and shoes, you’ve picked a smashing pair there. Well done Lucas on taking those 1st magical steps! Your shoes are very cute! The Bobux shoes are so cute, I love the colour and the style of them. Love petit filous as well! 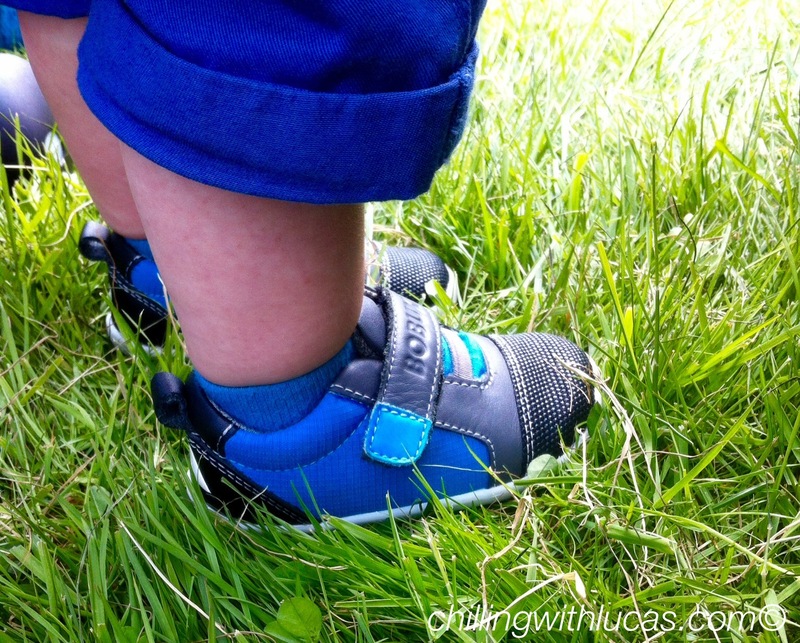 All baby shoes are so cute – makes me want to buy them even know I don’t have any babies! How cute are those little shoes! We recently had Olivia’s feet measured so i am now slowly building up he shoe collection. Lovely to hear about special firsts. Commenting for myself and on behalf of Britmums and thanking you for taking part. Gorgeous shoes. I loved buying my daughter’s first pair. There so tiny! I’m impressed! How did you manage to keep Lucas calm and still enough for a measurement? Our first attempt was a screamy nightmare! Our youngest is nearly one but no need for shoes yet. Love the idea of the fish tank.